Connexion is a contemporary and durable collection that features a wide variety of configuration options that will adapt to your specific needs. 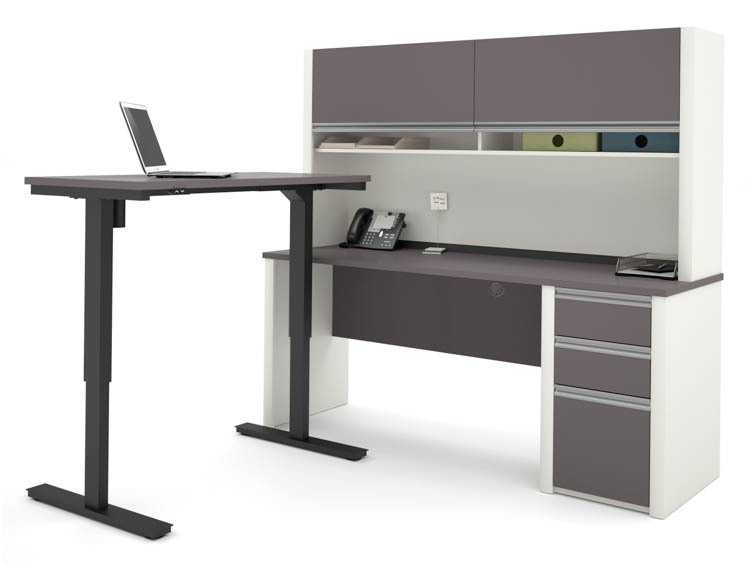 The desk is made of a durable 1" commercial grade work surface with melamine finish that resist scratches, stains and wear. The control button is located on the front edge of the work surface for an easy access. Voltage : 110V. 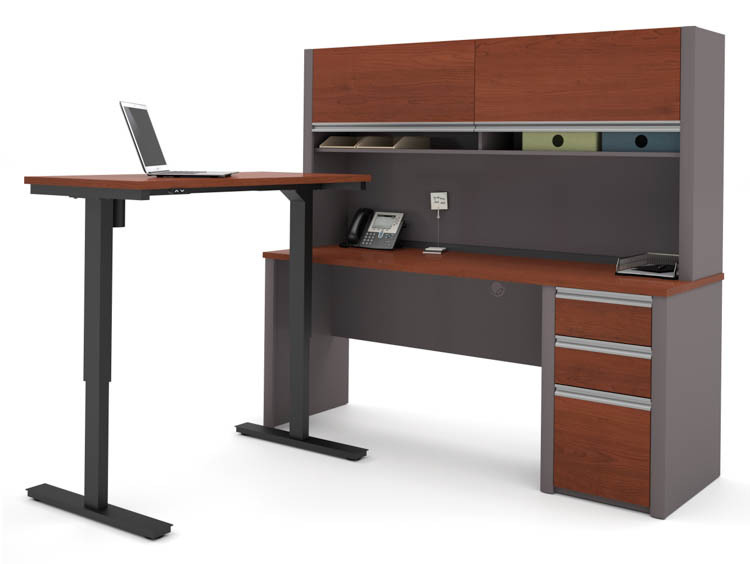 The credenza, hutch and height adjustable table meet or exceed ANSI/BIFMA performance standards.